The living room-like entrance to The Parlour. 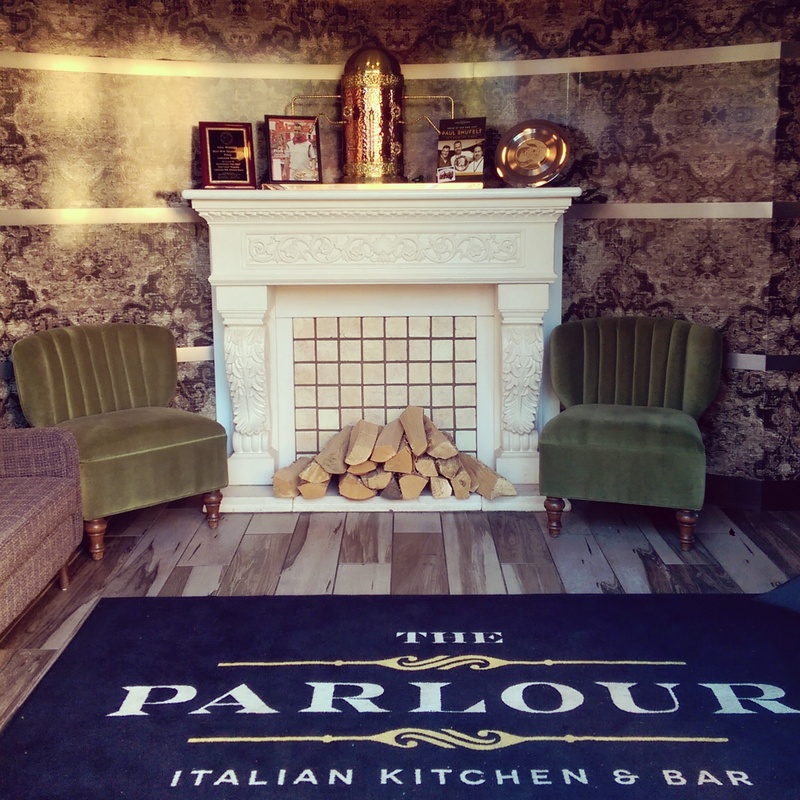 Century Hospitality Group‘s (@centuryhg) latest offering, The Parlour Italian Kitchen & Bar (@TheParlourEdm), has been open for a little over 10 months now. My first visit was with a friend prior to attending the Arcade Fire concert in August. We met up at her office and walked over to the restaurant through a blistering heat wave. Situated behind the Denny’s on 104 Avenue, it’s in a distinctive brick block that may have been an old warehouse, although its facade looks newer. A large vintage looking sign with lights along the border indicated we were in the right place. The entrance to the building is to the side through the patio, which is fenced in to save diners from a view of the street or the parking lot. It’s spacious with tables set far enough apart to give a greater sense of privacy and enough umbrellas or shade to keep it a bit cooler during sweltering weather. As lovely as it would have been to sit outdoors, it was too hot for the both of us, so we decided to venture inside. As you walk in, you’re greeted by a welcoming mantle place that makes you feel at home. Obviously, we were still at a restaurant, but it is meant to seem casual, relaxed, comfortable and retro despite the patina of sleekness over the whole atmosphere. I loved it. The server took us to a booth in the far corner, giving us a view of the bar and the pizza oven as well as the vast expanse of the layout, which includes a second floor that has many larger booths that are good for groups. The rustic-vintage-modern vibe of the restaurant. The bar at The Parlour. Since it was a Monday, we chose to go with their all day happy hour special ($10 on any of their specialty pizzas and $5 for all wines or beers on tap). We each selected a pizza – my friend went with the Short Rib and I ordered the Truffle – and got a couple pints of beer. As soon as the pizza was dropped off at our table, we immediately dug in, meaning I forgot to take photos right away. But, no matter! The pizza looked and smelled wonderful and upon taking our first bites, we were sold on the place. A friend told me that she thought the crust was too soft, but I didn’t think it was. The crust is perfect for folding. The truffle pizza was absolutely decadent. Topped with truffle salami, fior di latte, Parmesan, fresh thyme and shaved truffles, I was in heaven. While I wouldn’t pay the usual $25 price of the pie, I would gladly go back on a Monday or during happy hour to get it for more than half off, and I’ll bring people with me! The short rib pizza didn’t disappoint either. Coming with braised Alberta Beef short rib, fire-roasted Serrano peppers, shaved pecorino and EVOO, it had a good amount of heat coming through, great for those who appreciate some spice without losing their ability to taste anything else. Our pizzas – Truffle on top and Short Rib on the bottom. So good! The weekly specials including Happy Hour! To finish off, we capped our dinner with a couple of desserts. My companion selected the Chocolate Torta, which I expected to be more like a layered cake, but it actually seemed akin to a slab of brownie. It was rich, dense and presented with berry coulis, strawberries and salted caramel gelato. The Banana Panna Cotta called my name and it was also different than what I had pictured in my mind. Most other panna cottas I have tried have been closer to custards, but this had a slightly more gelatin-like texture to it. The banana flavour was subtle and paired excellently with the salted Nutella ganache, candied hazelnuts and fresh berries. Particularly, I was glad that it was a lighter dish. The staff were commendable – friendly and attentive – during our entire meal. I’ve heard mixed reviews from friends about the establishment, and I think it might get a bad rap for being a Century Hospitality Group restaurant, but I really enjoyed my food and my time there on this occasion, especially at these prices. I look forward to going back with friends and family. 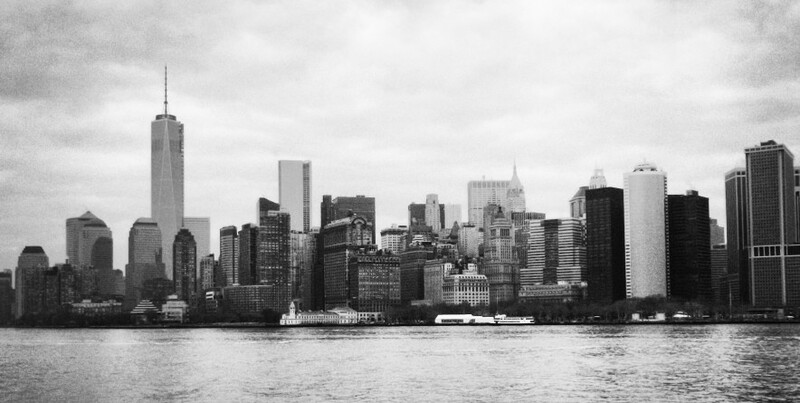 It’s just a nice, laid-back place to catch up with people and I like that I never felt rushed. Plus, I like the way they think there. 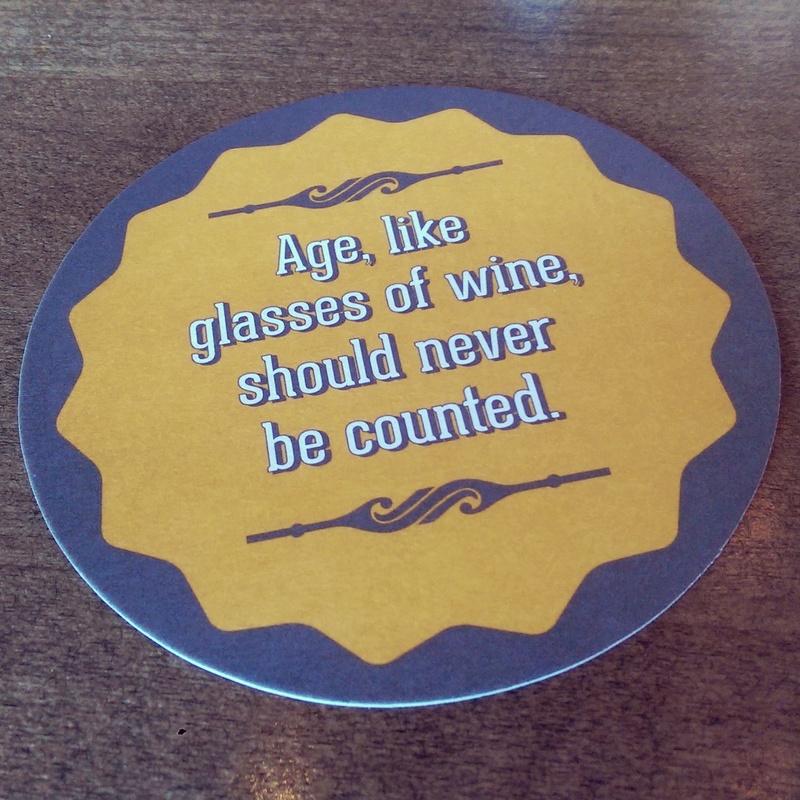 The backs of our drink coasters said, “Age, like glasses of wine, should never be counted.” As I sat there chatting with my friend of 17 years, I certainly felt younger than 28! The back of one of the drink coasters. It’s a cute touch.